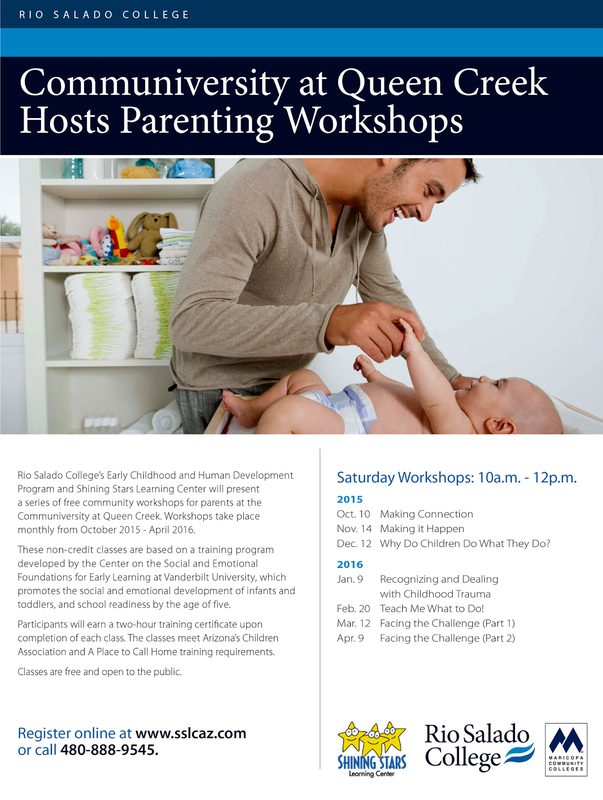 The first in a series of free community workshops for parents hosted by Rio Salado College’s Early Childhood and Human Development Program and Shining Stars Learning Center will begin this Saturday, Oct. 10 at the Communiversity at Queen Creek. 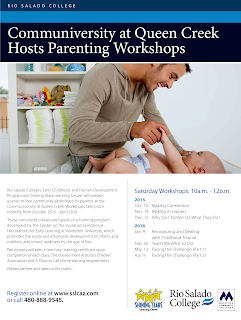 These non-credit classes, which will take place monthly from October 2015 - April 2016, are based on a training program developed by the Center on the Social and Emotional Foundations for Early Learning at Vanderbilt University, which promotes the social and emotional development of infants and toddlers, and school readiness by the age of five. Oct. 10 - Making Connection - This Saturday! 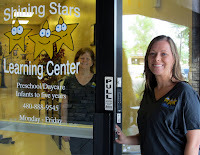 Learn more about Rio Salado instructor and co-owner of Shining Stars Learning Center Victoria Diforte, in this related blog story.